Welcome to the Hamilton Buddhist Temple. We are open to all: followers of Jodo Shinshu Buddhism and those who wish to learn, explore and participate in Buddhism in the Hamilton and surrounding area. Welcome to the Hamilton Buddhist Temple Website! How do we meditate in Jodo Shinshu? What are the Jodo Shinshu writings? At the beginning of this New Year, I would like to extend my warmest greetings to you all. Last year, Japan was hit by frequent natural disasters like torrential rains, typhoons, and earthquakes. Other countries including Indonesia and the US were also visited by devastating earthquakes, tsunamis, and major hurricanes. I would like to convey my deepest condolences to those who lost their lives through the natural disasters and express my sympathy to everyone affected. We must also never forget that armed conflicts and terror attacks as well as severe starvation is making it difficult to live and lives are being lost every day. Unable to part from our self-centered mentality, we are simply foolish beings, incapable of attaining supreme enlightenment through our own strength. It is all through the salvific working of Amida Tathagata that we are enabled to realize our selfishness. Furthermore, because of this self-awareness, with the hope of responding to the Buddha’s boundless compassion even just a little, we are enabled to aspire for everyone’s happiness and make a sincere effort in dealing with the many difficult problems of bitter reality in this world. In this New Year, as we receive the Dharma and recite the Nembutsu, let us make every effort to acknowledge and cope with the reality we face. We introduce our next title: Forgiveness: A gift from My Grandparents by Mark Sakamoto. This is a beautiful and well written true story of Mark Sakamoto’s grandparents, their survival and forgiveness in dealing with the darkest of times throughout human history when the most unthinkable horrors were being unleashed upon the world: one Canadian Japanese family stripped of their home, livelihood and dignity, and one Canadian boy who suffered intensely cruel and depraved hardships at the hands of the Japanese as a POW. Through delusion, greed and anger, the horrors of WWII brought grief and hardship to a huge part of the human race, but as this book so beautifully illustrates and as the Buddha taught, you do no cure hate and anger by returning hate and anger, but by love… and forgiveness. Although the LDC has chosen previous works by Jodo Shinshu scholars as books to read and discuss, this is a departure whereby it explores some of the everyday human aspect of life and conflict, and we will apply the Buddha’s Teachings to analyze and view this book and ultimately help us view our own lives through the Teachings. Discussions are now open on his book and there is still time to join in to read and respond to the thoughts and views of all. Foregiveness is available at Chapters/Indigo, Amazon and in ebook format for Kindle and tablets. Watch for further details on the Living Dharma Centre’s Facebook site, our national website (bcc.ca) and in your local temple’s newsletter or website or Facebook group. If you are new to the Virtual Book Club and interested in joining us, you can send an email to Barb at bm.livingdharmacentre@gmail.com. On Wednesday, October 3rd, 2018, Ray Nakano will be giving a talk on Engaged Buddhism at the Burlington Central Library located at 2331 New St. in Burlington from 7 to 8 pm. Insights into the teachings of the Zen master, Thich Nhat Hanh, global spiritual leader, poet, and peace activist will be presented. Learn mindfulness exercises to tap into your best self. On behalf of the JSBTC Board of Directors I would like to extend my personal greetings to all JSBTC Member Temples, their congregants, supporters and friends of the JSBTC. Many parts of our Kyodan across Canada experienced very hot temperatures this past summer so perhaps the Fall season will be more seasonal with somewhat cooler temperatures which hopefully will bring out the full spectrum of autumn colours in their full glory for all to enjoy. The Autumn season also typically signifies that JSBTC Day is soon upon us. This is a day when we all do our best to pay our respects and to commemorate all those who have preceded us in spreading the Dharma. Each Temple in our Kyodan normally selects a day either in October or in early November to celebrate JSBTC Day. I would encourage everyone to consider attending their local Temples to honour all those pioneers of our faith so that they will be honoured and remembered for many more years to come for all their significant contributions. Our JSBTC Board continues to work hard to provide the most benefits possible in support of the local temples, their respective memberships, to support the Office of the Bishop and our hard working Bishop Aoki, with our Ministerial Chair Rev. Grant Ikuta and, of course, all our dedicated Ministers who all work so hard to share the Dharma Teachings with all of us. Our National Board sees Bishop Aoki, Rev. Grant and all our wonderful ministers working incessantly to walk the path of the Dharma with all of us so it is incumbent upon us to ensure that they receive benefits to allow them to also live gratifying lives. Please consider making a donation on JSBTC Day to help enable us to deliver important health and insurance benefits to all our ministers, to provide educational opportunities for them and to also enable us to assist local Temples in their challenge and quest to continue to share the Dharma to our greater communities. Our elected National Directors look forward to your attendance and support at the upcoming JSBTC Day at your local temple. Passports are required to cross the border. This spring we will be reviewing “Dharma Breeze – Essays on Shin Buddhism” by Dr. Nobuo Haneda. A Japanese-born Buddhist scholar, translator, and teacher. Dr. Haneda is the Director of the Maida Institute for Buddhism in Berkeley, California and comes from the teaching line of Kiyozawa-Akagerasu-Maida-Haneda which is important in the powerful way they get us to take a fresh look at things. 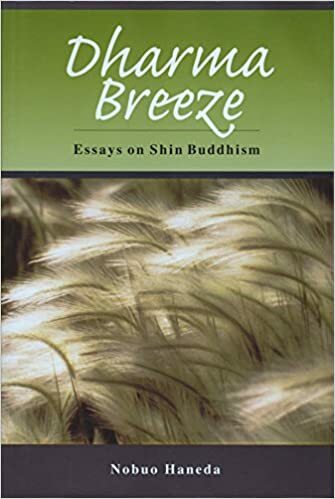 Dharma Breeze is a straightforward, easy to read book that anyone wishing to learn more about Shin Buddhism should read…..whether you agree with his views or not. The essays are grouped together in four sections: 1. Amida Buddha, .2 The Pure Land, 3. True Practice and 4. General Topics. Beginning March 1 we will spend approximately two weeks on each section, with discussion/posts at the end of each section. This book is available through Amazon or BCA bookstore (unfortunately, not available through Chapters or in electronic format) so please give yourself enough time to order the book in. We encourage you to read this book and begin to interact with our world-wide virtual sangha. This book should create some lively discussion! Live the Nembutsu. Join 2,000 men and women from around the world at the 16th World Buddhist Women’s Convention in San Francisco. More information will be provided, as we get closer to the date. Everyone is welcome. Save the dates. On behalf of the JSBTC Board of Directors, I wish to extend my warm greetings to all JSBTC Member Temples, their congregants and friends of the JSBTC. With the extremely hot summer behind us now, the cool rains and autumn colours will be something to look forward to. On July 10-23, the JSBTC hosted a youth tour to Japan with many interesting places to explore. The main attraction was visiting our Mother Temple Nishi Hongwanji in Kyoto. There were a total of six youth who registered from across Canada. The participants were two from Fraser Valley Temple, one from Calgary Temple, one from Manitoba Buddhist Temple and two from Toronto Buddhist Church. This year the chaperone was Bishop Aoki who took time from his busy schedule to be the tour guide for this trip. This tour leader opportunity was open to all ministers in Canada but due to their schedules no one was able to accompany the youth to Japan. Thank you very much to Bishop Aoki for putting big smiles on the faces of our Youth Delegates and for making available life long memories for the youth who attended. Rev. 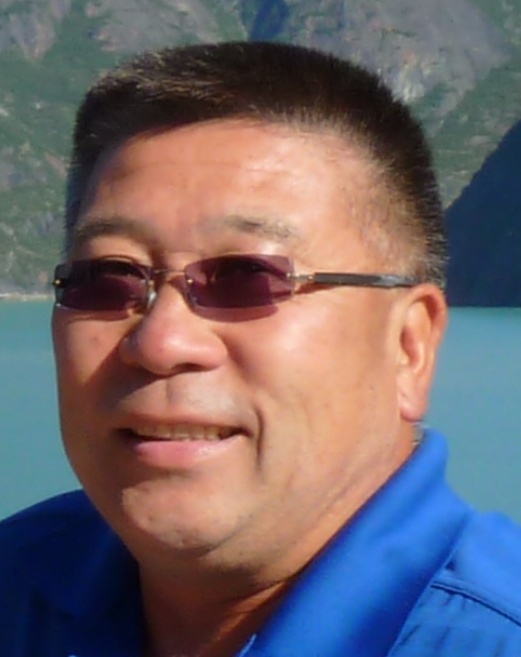 Robert Gubenco, who is a member at Calgary Buddhist Temple has expressed an interest in being a Kyoshi minister in Canada. Under the supervision of Rev. James Martin and Bishop Aoki, we should have a Kyoshi minister soon to help with our extreme shortage of ministers in Canada. The JSBTC expresses our gratitude to Rev. Robert Gubenco, Rev. James Martin and Bishop Aoki for their dedication and guidance in fulfilling this need for the future of sustaining Jodo Shinshu in Canada. Rev. Yoshi (Yoshimichi) Ouchi was assigned to Toronto Buddhist Church last year. He has been working closely with TBC, Rev. Christina and Socho Aoki in adapting to our Canadian culture. He has shown great enthusiasm and he is a true gift to us by being a new minister of the JSBTC. We are very proud in welcoming him in joining our Sangha. I’m sorry to announce the resignation of Rev. Christina Yanko who is a resident minister of Toronto Buddhist Church. She will unfortunately be leaving JSBTC on Dec 31, 2017. Her husband Dave is an American citizen and he has been called back to the USA for active duty (which he cannot refuse) with the U.S. Coast Guard. I know it was a difficult decision for Rev. Christina to make but we all understand that it is very important to keep the family unit together whenever possible. I am going to miss her wonderful Dharma talks and her glowing smile. Thank you Rev. Christina for the wonderful experiences which you have provided to our Sangha during your appointment in Canada. Many members will be missing you and your family. We wish you good luck and safe travels for you and your family. Thank you to those who have signed up to join us in the LDC’s Virtual Book Club. This is a gateway to a Virtual Sangha that not only encompasses our country but has reached across the U.S., Hawaii, Europe and Central and South America! We are thrilled to embrace all in our efforts to spread the Dharma. The summer weather and thoughts of vacation are now upon us and we thought that this is an excellent time for us to offer two books to read along with everyone! Our next Virtual Book Club Offerings will be two books to choose from. Firstly, for those serious students of the teachings, we will be looking at “Sermons of a Buddhist Abbot” by Soyen Shaku, translated by D.T. Suzuki. This was originally published about 100 years ago from a series of lectures this Zen Abbot gave while touring and speaking across the United States. This book contains an illuminating series of talks from this Zen Abbot who explained Buddhism to the Western world by utilizing Western philosophy, religion and psychology to clarify some of the core Buddhistic principles. These explanations the Abbot outlined still help us to this day to understand the Buddhist teachings. Unless you are extremely lucky enough to find a copy of this old book, it is available for free as a PDF file. There may also be available free downloadable sound files of this book. Secondly, we have a book that has been suggested by one of our original book club members as a beautiful read: “Birds Art Life” by Kyo Maclear, a Canadian author of Japanese and British descent. Here is a quote about the book by Barbara Gowdy “Every now and then you read a book that changes the way you see the world. For me, Birds Art Life is one such book. The writing is marvelously pure and honest and light. At the same time, magically, it is erudite, generous and brimming with meaning and event. Birds Art Life is a book I know I will return to again and again for inspiration and solace”. Kyo Maclear wrote this insightful book as a result oi dealing with the failing health of her father and how she dealt with this tough time in her life. This book is available at Chapters both in-store and on-line for less than $30. Thank you for following our past discussions on Sensei Jeff Wilson’s book Buddhism of the Heart: Reflections on Shin Buddhism and Inner Togetherness. We hope that the readings and comments have sparked thought and reflection within yourself as well as reconnecting to some of the basics of Shin Buddhism. Our thanks go to Sensei Jeff for writing such an easy to read and approachable book! Our next title for the LDC Virtual Book Club will be Man’s Search For Meaning by Viktor E. Frankl. We will be starting this title on April 28th and we will complete it by May 28th. This book is widely available in paperback, audiobook and ebook format. Please join us by emailing Barb MacCarl at: bm.livingdharmacentre@gmail.com to be included in the discussions.